and not of what we don't want?" Everything we have NOW is because we visioned it. This webinar will lead you step by step into how to dissolve stress with the Four Proclamation Meditation. Then it will lead you by the hand into the Four Steps to Visualization and Manifesting Your Vision in the shortest possible time. Then it will take you into the real secret of Meditation, the Four Steps to the Ancient System of Meditation. This Ancient system of Meditation can be applied in the work place, at home and anywhere. How you can even meditate in the midst of your busy life. This webinar will show you how stress is playing havoc in our lives and how you can get rid of it with the disciplines of the Ancient Secrets. Easy to perform and it has worked for thousands of years. 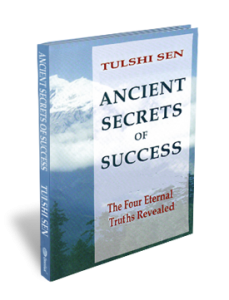 These secrets have been with us for 3,000 years and have sustained the scrutiny of time. This system works if you work it. This webinar will show you why you have not been able to really set the Vision from your Soul and settled for what is available. It will reveal to you why you have settled for what you think you can have and not desire beyond your present conditions. More than that, it will guide you step by step into the next level of living and aspiring. And not settle to live out the rest of your life the way it is going now. Watch this Webinar and change your life now in these few minutes and life will never be the same again. You will feel the urge of a greater life of love, romance and riches. You will realize it is yours for the asking. You will raise your belief level to the level of your aspirations. In this webinar you will hear stories and secrets about yourself. This webinar will be the mirror of your Self and you will see yourself and make all the changes that you want.